Gabrielle Chanel (known as Coco), the French designer and founder of the famous Chanel fashion empire, has been the source of fascination and discussions for many biographers. Lisa Chaney ("Coco Chanel: An Intimate Life"), Hal Vaughan’s (“Sleeping With the Enemy: Coco Chanel’s Secret War”) and Justine Picardie ("Coco Chanel: The Legend and The Life") are the authors whose bibliographic books have been dedicated to this genius woman, where very contradicting facts about the life of Coco are disclosed and debated. 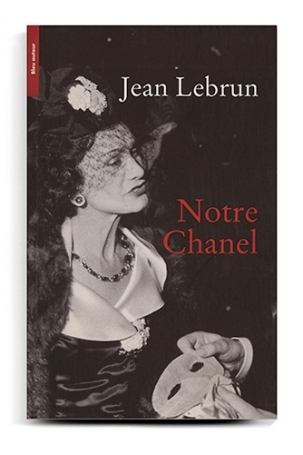 Recently, in April 2014, a new book about the Grande Mademoiselle was published, authored by Jean Lebrun. The title 'Notre Chanel' is translated from French as 'Our Chanel'. Shortly after publishing, the book was awarded the Prix Goncourt prize, which is an honorable and very prestigious literature prize in France. The book is the collaborative work between the author Jean and Bernard, who studied her life earlier. They tried to reveal the unconventional side of Coco's life. From the words of author, there are very few written sources about her and it is complicated to unveil the essence of Gabrielle. Interesting fact is that Coco and Jean could not stand the presence of each other due to the complete difference of their characters and natures. I suppose that this fact will make the book very interesting, as it may be written from an alternative point.